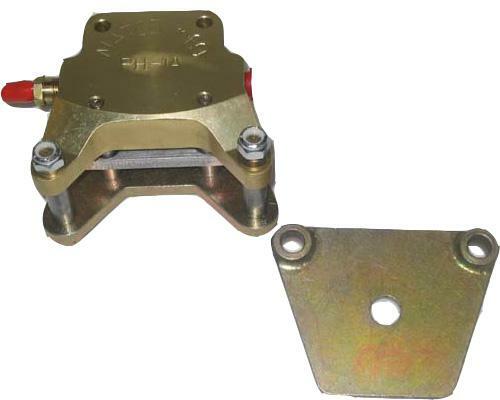 The MATCO mfg WHLB5-6 5 INCH inch brake assembly is designed for use with MATCO mfg wheels. This model uses an Internal caliper design and is designed to be used with the WHLD5 disc. The WHLB5-6 is supplied with BPA12MM brake plate adapter. The M66-106 brake pad is used. This semi-metallic friction material compound was selected for its high friction performance and low fade at elevated temperatures to provide smooth stopping under high load conditions. The reline kit for this brake is the BRL-1 which includes linings and rivets for two calipers.